I didn’t plan to carry on with the travel theme, it just sort of happened. And I don’t normally do custom work, but this particular job was obviously meant to be. One of my fave customers came by to pick up the Duncan Phyfe buffet, and as she was getting ready to leave she just happened to ask if I had any desks. She was looking for a specific style, and showed me a pin from pinterest. It is a unique style, and it was just an amazing coincidence that I had a very similar desk on hand. I’m sure she totally expected me to say no. It was tucked away in the creepy lean-to storage area of the Carriage House waiting for inspiration to strike. As you can see, she had to have amazing powers of imagination to see that this could turn into something fab. She also had to brave potential spiders and bad lighting. She told me that I could do what I wanted with it as long as I painted it white. I had been thinking of white anyway, so I was more than willing to bend my ‘no custom work’ rule. And here is the result. 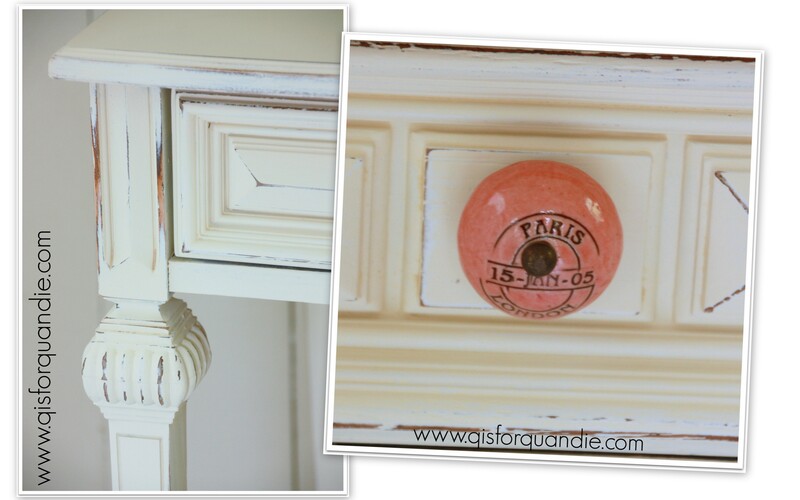 I’ve had the pair of pink knobs around for a while, and I thought they’d be a nice pop of color on the desk. If you look close, you can see that they say PARIS and LONDON on them. 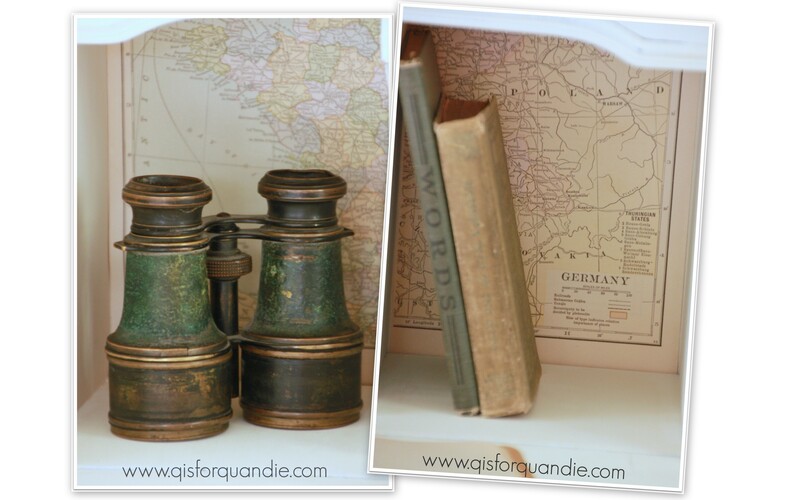 I knew I wanted to put some sort of vintage paper at the backs of the cubbies, and the knobs inspired me to use old maps. The maps came out of the Putnam Handy Volume Atlas of the World from 1922. 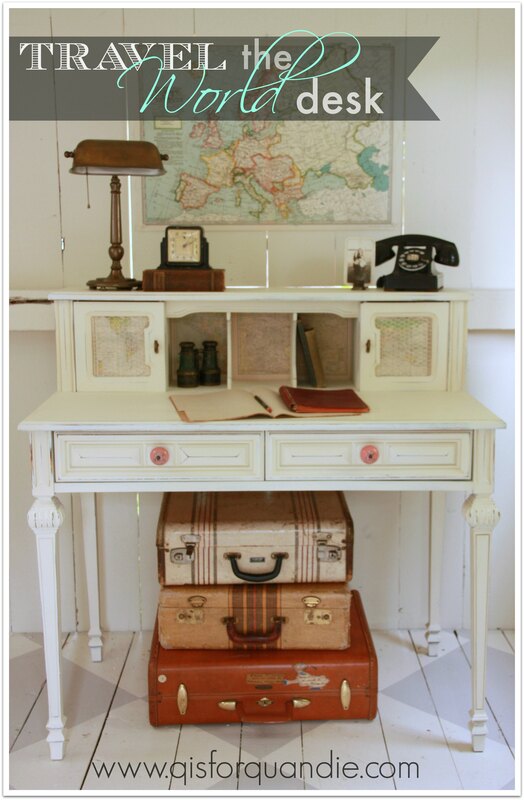 I picture a young woman from the 1920’s sitting at this desk planning her grand tour of Europe. 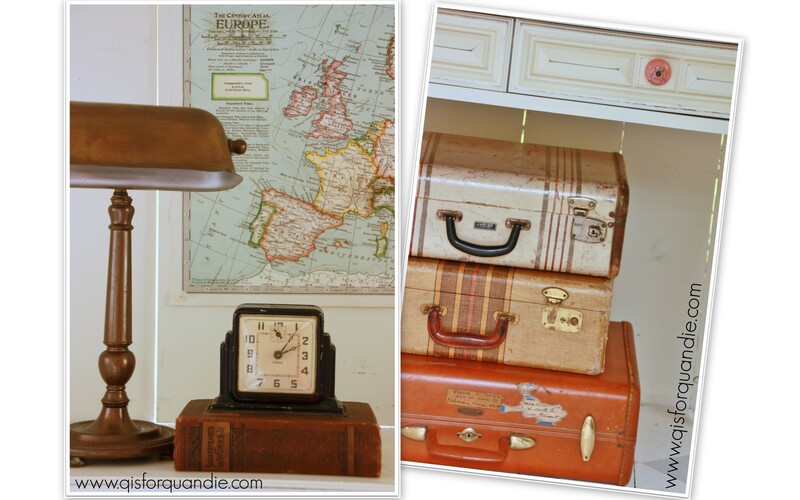 She has her Europe map hanging on the wall, and her luggage is piled up and ready to go. She’s making notes about the Doge’s Palace in Venice and Notre Dame de Paris in her journal. Perhaps she’ll visit the Leaning Tower of Pisa, and hopefully the Tower of London. Handsome Italian men will try to sweep her off her feet at the Spanish Steps in Rome. 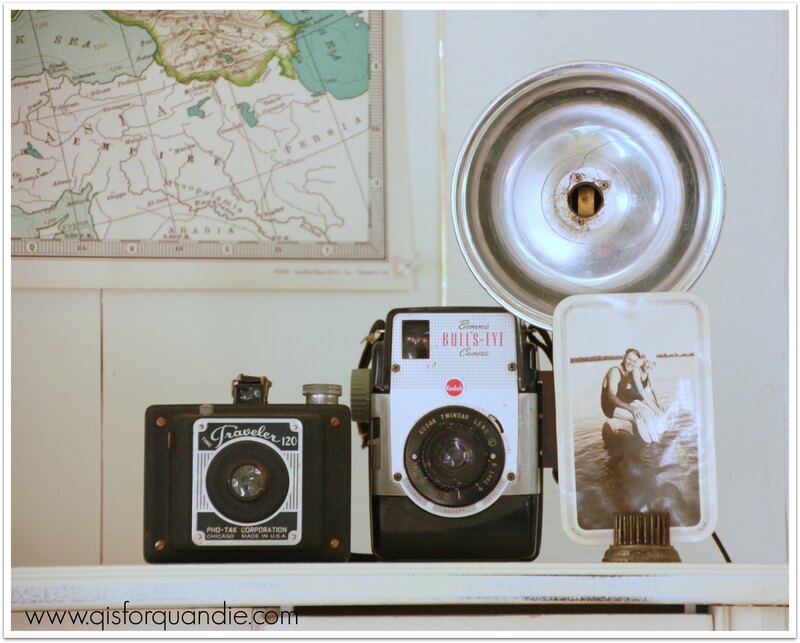 She has plenty of film and her cameras are ready to go. 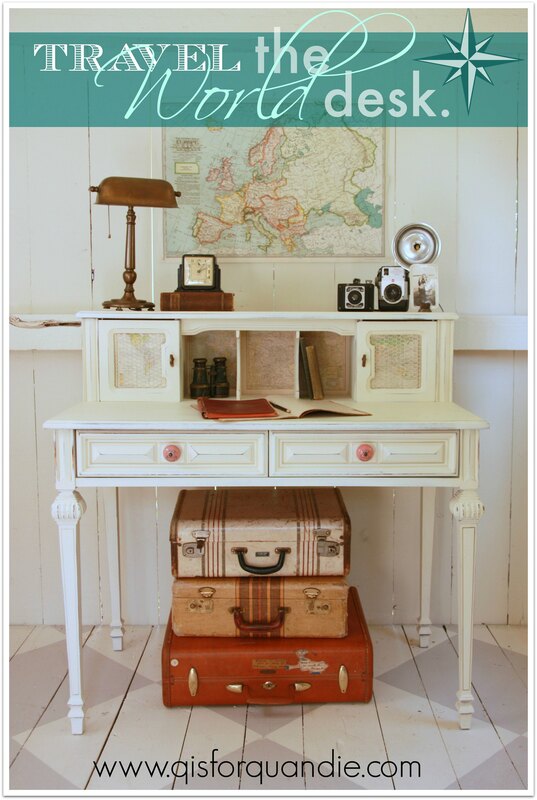 I hope that this desk inspires some travel, or at least a sense of adventure in its recipient. 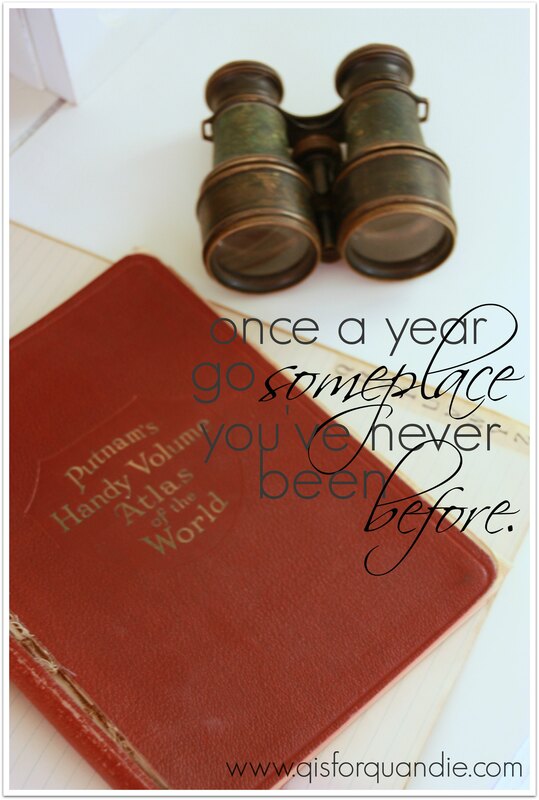 Don’t you sort of wish you had a trip to plan now? What a great make-over-I love everything about it! Drool! You are darn right that I wish I was going somewhere and I know exactly where I would go. It starts with a Paris and it ends with a France. 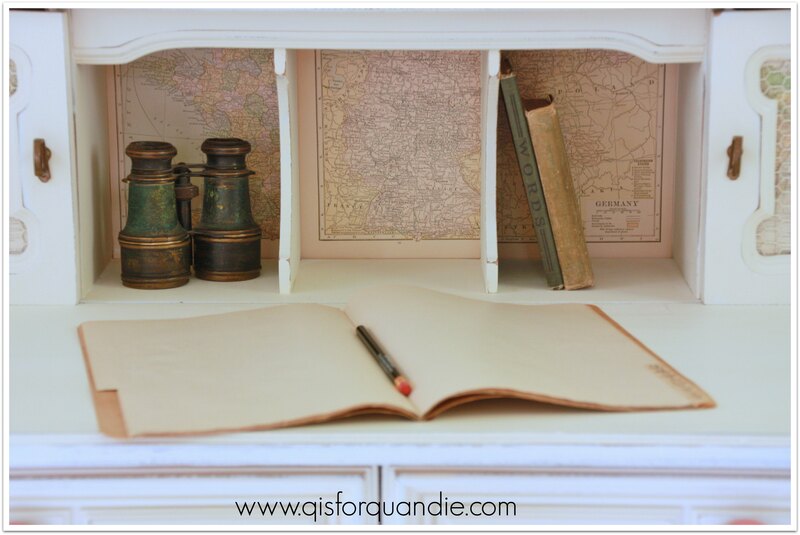 I loved the following sentence of yours: (I hope that this desk inspires some travel, or at least a sense of adventure in its recipient. ), That is good writing, Linda. Since we love 100s of miles apart, I hope you don’t mind if I copy all the design work and ideas that you put into this fabulous piece. 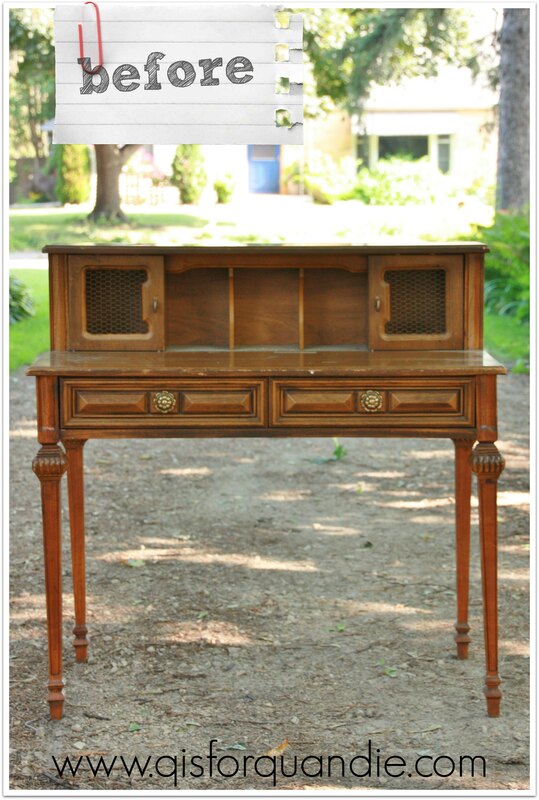 I just happen to be painting a desk with cubbie holes today and I was stumped on how to make it unique. It has to have maps on the back walls and it will appeal to men and women. I’ll show you how it turns out. Thank you, Linda. As always, you are helping me with my work! Ahhh, Paris. It’s always a good idea, isn’t that what they say? Feel free to borrow the map idea and make it your own. I’d love to see your desk when it’s finished! I love the desk. I wish I was going somewhere fabulous and foreign. Love it!…you did a beautiful job. I see I missed a post oh my! Nice job Linda – this is a great post. I would love to get in some real travel time – we only seem to grab a day drive but even that is good for decompressing. Truly amazing transformation – love the addition of the maps and those knobs are pretty cool too. Two thumbs ups! I love to travel and get the travel bug all the time, a trait I inherited from my travel agent mother who is still working full time at 74 years old because she likes the perks of free, or at least very cheap, travel. 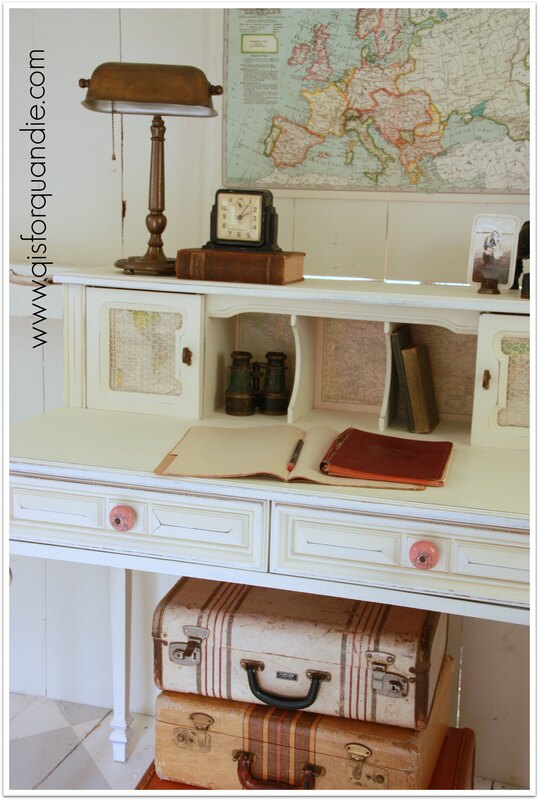 So adding a little travel flavor to this desk was a no-brainer for me. Hope you can get in some real travel time soon! Wow how nice to have a travel agent in the family. I am sure she is a treasure of information. We are hoping to get down to the coast in September. I have located a darling cottage on St. Helena Island, South Carolina(not to be confused with the British Colony one). It’s oceanfront and so cute. September is usually a bit more comfortable in this neck of woods. Sounds heavenly. I am a beach girl at heart (having spent my formative years in Florida). Thanks Annie! Hey, Debbie will be here the week before Labor Day, any chance you’ll be in town too? Oh, this is absolutely stunning! You breathed new life into this piece, what wonderful vision you have! And yes, I sure do wish I was planning that European vacation! Thank you so much Anya!